There is no one in the world who doesn’t know about Fashion. Fashion is very familiar with every type of people all over the world. Most of the people try to be fashionable in their own way within their budget. That’s why according to the perspective of the class, the age, the taste, and the affordability of the people, fashion varies from people to people. But without proper knowledge about fashion, it is quite impossible to keep pace with the present trend. For most of the people, fashion is something which is very luxurious thought of the people. Everyone wants to follow the new fashion to become unique and attractive in front of the people. But how many of them know what fashion is? Before following the fashion, first, we need to know about fashion. Fashion is a style which is accepted by massive people. Now the question is what is style? The style is a unique manner of something. It can be someone’s own habit, someone’s own sense or can be someone’s own practice. All of these are related to fashion. Why Fashion Design and Technology? In this modern era, what we can see about fashion isn’t created within a day. After decades of decades, fashion is changing. Sometimes it changes rapidly, sometimes gradually. Because it doesn’t remain the same and it’s normal. In this way, we are able to get in today’s fashion. To know about the history of fashion, to assume the upcoming fashion and to create a new fashion, Fashion Design and Technology is very important. For this purpose, you have to study BSc in Fashion Design and Technology. The demand for fashion never will decrease. Undoubtedly, the demand for fashion will increase with the change of time as before. As long as the world exists, people will look for something new. So the necessity of fashion won’t fall. Fashion exists in everywhere in our life. It’s not only about clothing, it’s about full get up. That means shoes, bags, hats, accessories, makeup everything is included in fashion. So the field of Fashion Design and Technology is vast. For this reason, BSc in Fashion Design and Technology is classified into various different major subjects. They are- Leather Design, Accessory Design, Textile Design, Fashion Merchandising etc. A student of Fashion Design and Technology can learn about the pattern making, draping, sketching, grading, fashion drawing, embellishment, forecasting, fashion technology and many more. All of these, help him to analyze and to create a new fashion. After that, the celebrities grab the fashion first. Then people started to follow them. In this way, fashion spreads through the society. As there are many fields in Fashion Design and Technology, a student has many options to choose according to his choice. One who doesn’t like drawing it’s not mandatory for him to do that. Rather he can do his major in technology. According to the various field, there is a various job opportunity for the fashion design and technology graduated students. A graduate student can join in a job as a Fashion Designer, which is a very demanding and very luxurious job. Moreover, he can join as a Fashion Merchandiser, as a Product Developer, as a Fashion Assistant, as a Pattern Maker, as a Textile Designer, or as a Textile buyer. The role of a Fashion merchandiser is to follow up the full process of a fashionable product until it reaches in customer’s hand. A Product Developer develops lots of products from one design. Mostly a product developer works for the local market to reduce the cost of hiring a fashion designer. A Fashion Assistant gives all the support to the designer. A Pattern Maker helps to convert a fashion designer’s idea into a 3-dimensional shape. This job link between the design and the production. And a Textile Designer is responsible for creating fabrics by choosing yarn and by using different weaving structure. And the last, but not the least is a Textile Buyer who manages the supply of the all materials which are needed during production. All these jobs are very interesting. By doing these jobs, one can reveal his hidden potential as each and every job is related to creativity. Fashion is love. So no one will get bored with fashion ever. Whatever it is! It maybe studies in fashion, maybe a creation of fashion, or maybe just only go with the flow of fashion. It’s always interesting as it changes with the time and with the taste of the people. Even doing a job in the fashion field is also very interesting. Moreover, many brand or company arrange a tour of the designer to get rid of from the monotonous life. A tour also helps the designer to boost up his creativity. Every people can follow the fashion. But there are only a few people who can create the fashion. 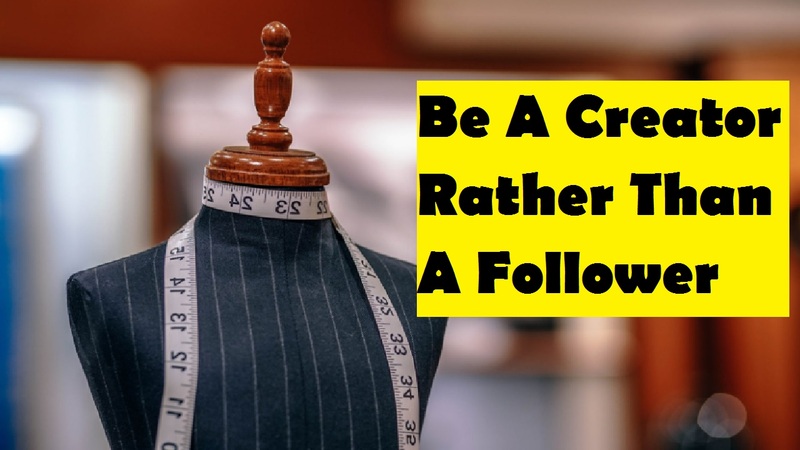 It’s better to be a creator rather than a follower. Be that one and for that study in BSc in Fashion Design and Technology.